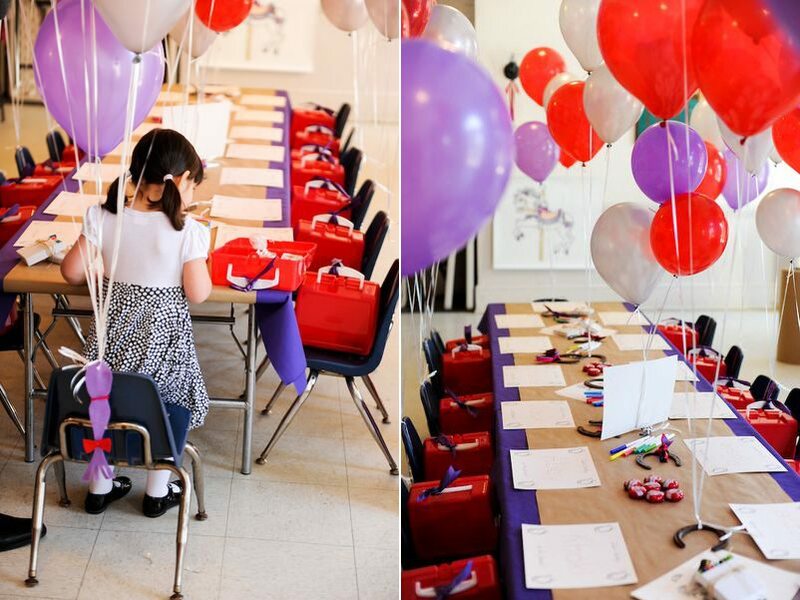 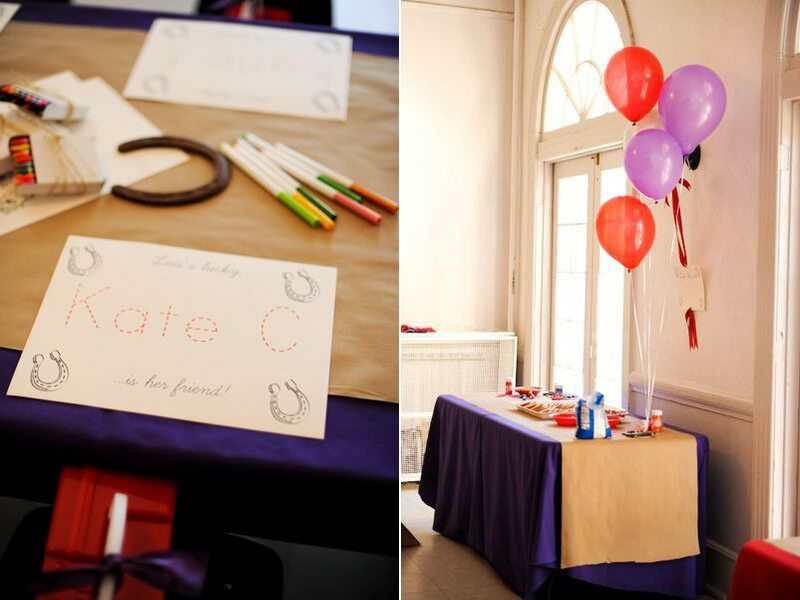 I loved this purple and red birthday party the instant I first spied it on Ritzy Bee a few weeks ago. 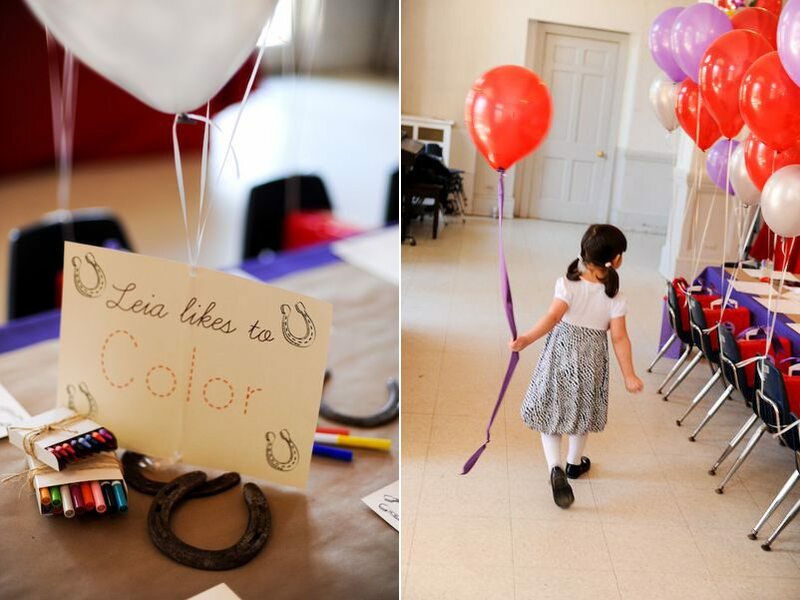 I love the punchy color palette and all of the cute horseshoe and pony details Maria and her team pulled together in honor of little Leia’s third birthday. 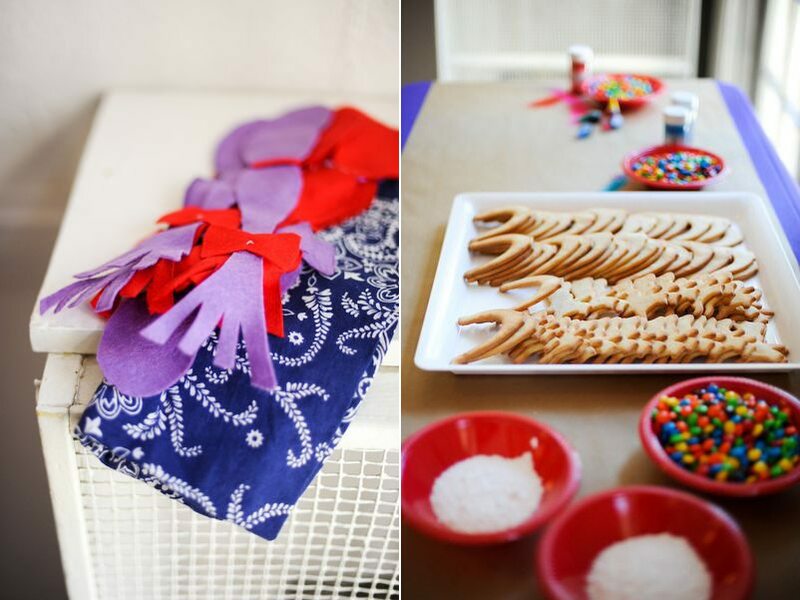 With lots of fun activities like coloring and cookie-decorating, a long table covered in a kraft paper table runner and little miniature chairs perfectly scaled for the pint-sized guests, all of the details are just spot on perfection. 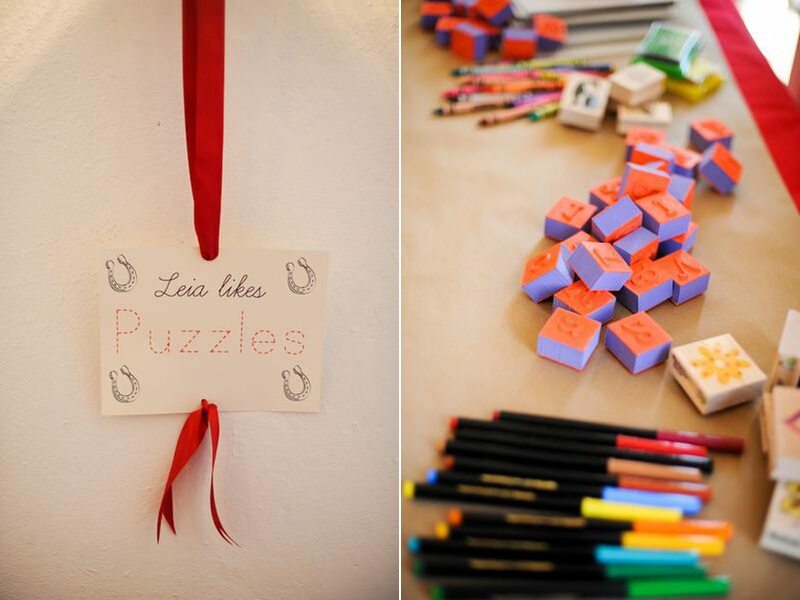 Everything is completely age appropriate, incredibly festive and fun, yet completely pretty with not a single detail forgotten. 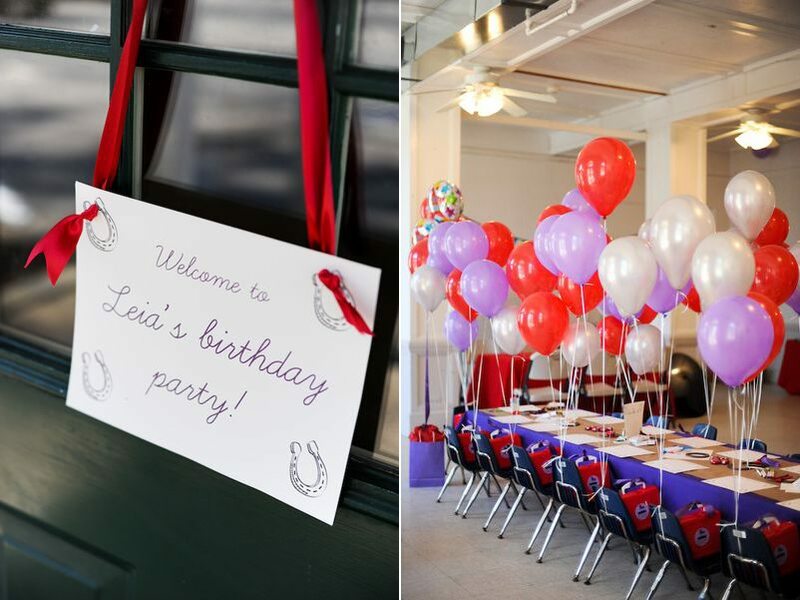 That’s my kind of party.